Information for the teacher training students. We welcome your questions. Please contact us and we’ll be happy to assist you. Hari Dass is a Chiropractic Physician, Teacher Trainer, yoga instructor, and Sikh minister in Portland. 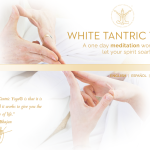 He has practiced Kundalini Yoga since 1974 and has taught since 1976. Starting in the early 90’s he has taught Anatomy in numerous yoga teacher training programs both within and outside of Kundalini Yoga, including the Aquarian Teacher™ Program in Espanola, NM, Vancouver BC, and Rishikesh, India. His classes emphasize strength, and especially abdominal strength, along with spinal flexibility and improved biomechanics to correct and avoid spinal injuries and other health concerns along with the link between health, physiology and state of consciousness.